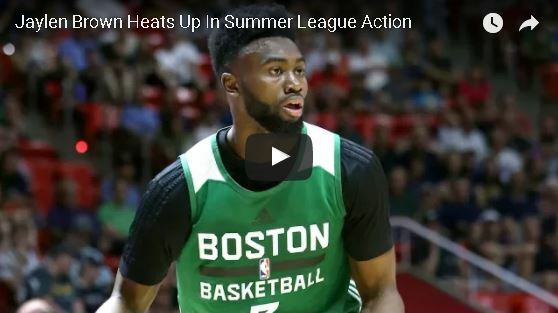 With all the hubbub and confusion around where exactly Gordon Hayward will sign, it's excusable if you forgot there was a Boston Celtics Summer League game last night. And perhaps you missed it, but read of how well Jayson Tatum did in his first meeting in an NBA uniform with Markelle Fultz. Let's not forget about Jaylen Brown, though - he had quite an outstanding evening, too. If you didn't catch it, the video above has all the highlights.